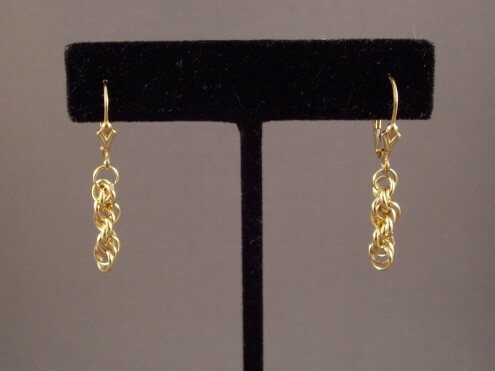 The French Rope Earrings are a beautiful pair of earrings. Their rings are made of half round wire, which is somewhat unique in chain mail. Their length can be adjusted to meet your taste. They are a wonderful linear earring to wear. This is an intermediate weave. Sterling silver plated or gold plated leverback earring findings are included in the kit.